STANBIC Bank invested more than US$350 million in the development of the Zambia’s energy sector in 2014 to address the current power deficit. The bank sees the energy sector as key driver in contributing to sustainable economic development. 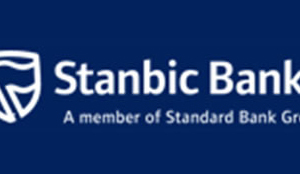 Stanbic Bank deputy head corporate and investment banking Helen Lubamba said the bank had noted the increased demand for additional power generation capacity that would reduce the growing demand and supply gap. Ms Lubamba said in a statement that this had been driven by rapid population growth, increased copper and other mining output and the growing Gross Domestic Product (GDP) and middle class. “Stanbic Bank is not a power utility company but will work with relevant stakeholders in providing solutions through financing of infrastructure development projects that will ultimately assist the country reduce on the demand and supply gap for quality power generation,” Ms Lubamba said. It is against this background that in 2014, Ms Lubamba said the Bank applied its financial expertise and capabilities in the energy sector through notable projects that were undertaken with ZESCO in connecting the North Western Province to the national grid. “Stanbic Bank Zambia was also the mandated lead arrangers and debt advisors for the Copperbelt Energy Corporation (CEC) as well as being the book runner and transaction advisor on its rights offer. The outlined projects that Stanbic Bank participated in had a combined investment of over US$350 million in financing,” Ms Lubamba said. She said as a bank that is spread across Africa, Stanbic was well positioned in providing a Pan-African expertise and knowledge to help the Zambian economy grow its mining, infrastructure and agriculture sectors among others propelled by the energy sector. “To demonstrate our commitment to the energy sector, we successfully hosted an energy conference together with Ministry of Mines, Energy and Water Development that brought together stakeholders to discuss opportunities and challenges facing the sector. We will work to ensure that this is an annual forum which will draw expertise in the field of energy from across the globe,” she said.